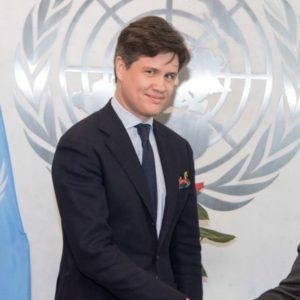 Andrew Wilson, the International Chamber of Commerce’s (ICC) Permanent Representative to the United Nations, writes about the importance of public-private partnerships in delivering the UN Sustainable Development Goals (SDGs). This week the ICC co-hosted the 3rd SDG Business Forum, alongside the UN’s 2018 High-Level Political Forum. The Business Forum provided a unique platform for business leaders, government ministers and other stakeholders to support business action and partnership to achieve the SDGs. It fostered public-private dialogues, catalysed new partnerships and alliances, and explored innovative business solutions to accelerate sustainable development. Central to the theme of this year’s Business Forum – transformation towards sustainable and resilient societies – is that a successful sustainable development agenda requires partnerships between governments, the private sector and civil society. This is the driver behind Goal 17 (Partnerships for the Goals), a 2018 focus goal which underpins all of the other SDGs. It is only by including all actors in a proactive and cooperative approach will we achieve our shared goals. Goal 17 also advocates for a multilateral universal, rules-based, open, non-discriminatory and equitable multilateral trading system under the World Trade Organization and specifically calls for increasing the exports of developing and least developed countries. Thus, one of the key actions that governments in partnership with the private sector can take to help achieve the SDGs is to support and facilitate trade. The private sector has a vital role to play in helping to ensure that policies and reforms provide adequate frameworks for investment and trade. The Global Alliance for Trade Facilitation is leading the way in helping to implement trade enabling reforms through public-private partnerships. All Alliance projects are designed to implement the WTO’s Trade Facilitation Agreement and developed through its unique process of ‘co-creation’ where the private sector – from multi-national businesses to small and medium sized enterprises – is an equal partner to government in designing and delivering reforms from start to finish. At each stage of project development and implementation, the Alliance facilitates public-private dialogues to ensure both business and governments are in the driving seat. This creates a sustainable culture change in the way that the public and private sectors work together that will endure long after Alliance projects are completed. What is more, the private sector contributes significantly to the work of the Alliance through in-kind technical support. The SDGs represent a clear economic imperative. Private sector investment and activity lie at the core of efforts to transform our world into sustainable and resilient societies, and governments must support business’ efforts. It is only by working together in partnership can we deliver these goals. To find out more about how your business can help to achieve the SDGs and be a part of the work of the Alliance, visit www.tradefacilitation.org/as-a-business.